Science is really just a way of thinking, observing, experimenting, and asking questions. 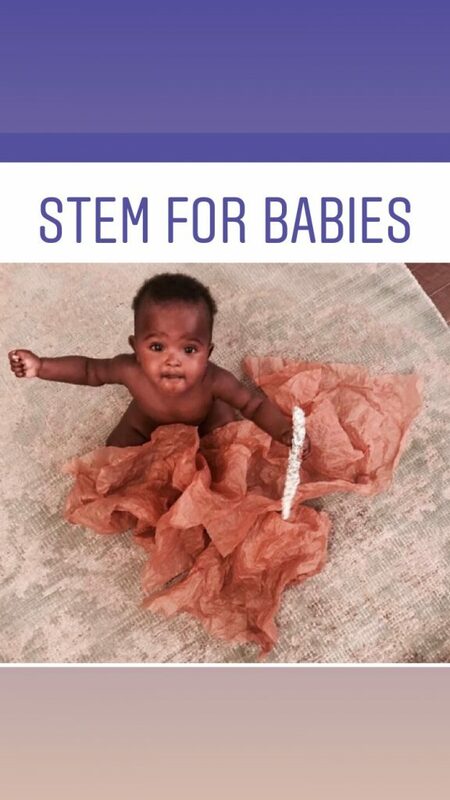 Before babies are mobile, they are nothing if not little scientists, observing and taking in their world all day long. Babies are constantly watching and learning from what they see. 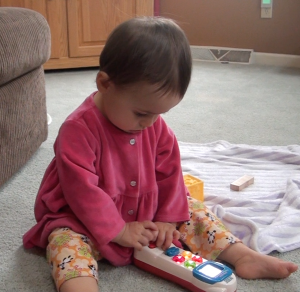 Toddlers are intuitively questioning everything they see, attempting to make sense of the world. All we need to do to foster this early sense of curiosity is encourage it. Pay close attention to what your baby is interested in and allow her to explore. When your baby gazes toward the stuffed bear, follow her gaze, then bring the bear to her. Allow her to touch it, smell it, and explore it. Talk to her about it. Talk about how it feels against her skin, tell her what it is and encourage her to play with it. If your baby reaches for a block, help her reach it or bring it to her and encourage her to explore that. Allow her to guide her play and follow her and encourage further exploration. When interacting with your toddler, talk to him about everything you see. Use descriptive words and ask “wh” questions such as “What color is this?”, “Why is the dog brown?”, “What sound does that duck make?”. Think about all of her senses and how you can stimulate each of them. Give her interesting things to look at, listen to, provide her with smells and tastes, and allow her to feel different textures against her skin.